How often should you visit the doctor? Good reference especially for guys (like me, John Hudson) who sometimes chickened out of going to the doctor. I had not gone for 20+ years and was scared to death, but finally went a few years ago after I met my wife, Celeste. I was expecting to have every possible thing wrong with me… so when the doctor said I was fine, it took a while to set in. Now the doctors bug me and I go on an annual schedule. But for all guys out there that put it off like I did…it may not be nearly as bad as you think. This article suggests how often to see your General Practitioner, Dentist, and Optometrist. 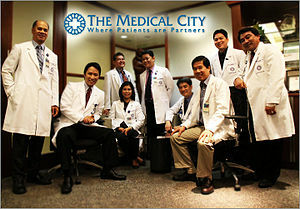 Click here for: How often should you visit the doctor?